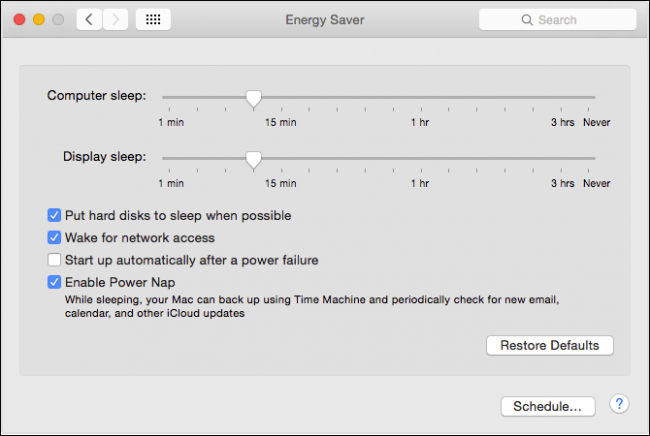 What Is Power Nap in macOS? Power naps aren’t just something that happens after a heavy lunch or a long morning working in the yard. Macs also employ a feature called Power Nap that keeps your system and apps updated while your Mac is in sleep mode. Power Nap has been a macOS feature for a few years now. Its functions will vary depending on whether your Mac is connected to AC power or on battery. Contacts, Notes, iCloud Documents, Photo Stream, and Reminders are updated when you make changes on you other devices. You will receive new messages in Mail. Calendars will be updated with new invitations and events. You can track the location of your Mac so Find My Mac works while it sleeps. Of the apps that update, only Mail and Notes have to be open. If you own a Mac that was manufactured in the last 5 years or so, then chances are pretty good it will support Power Nap. The easiest way to check however, is to simply open your Energy Saver settings. The Power Nap feature will be the last option. If you don’t see it, then your Mac doesn’t support Power Nap. …or connected to AC power. 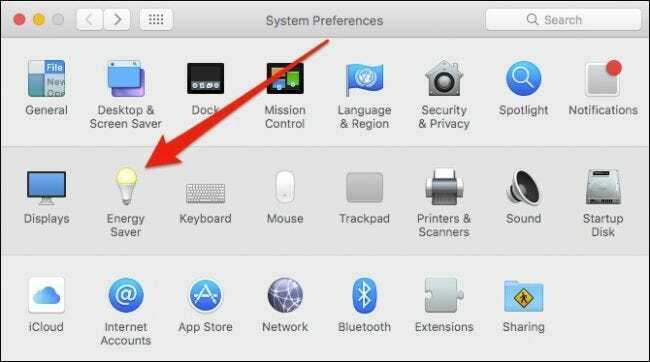 Power Nap is silent, so your Mac won’t exhibit any sounds when things update. You Mac may stay warm to the touch, though Power Nap will suspend operations before your machine overheats. 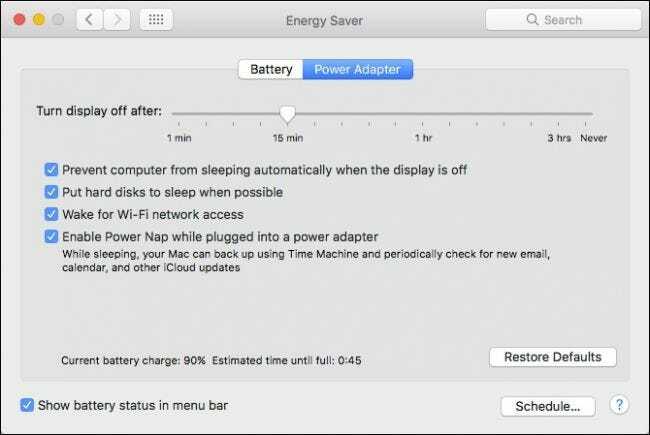 For Mac laptops that were manufactured in 2013 or later, Power Nap will continue to operate until the battery is drained. Earlier models will suspend Power Nap once the battery has reached 30% or lower. 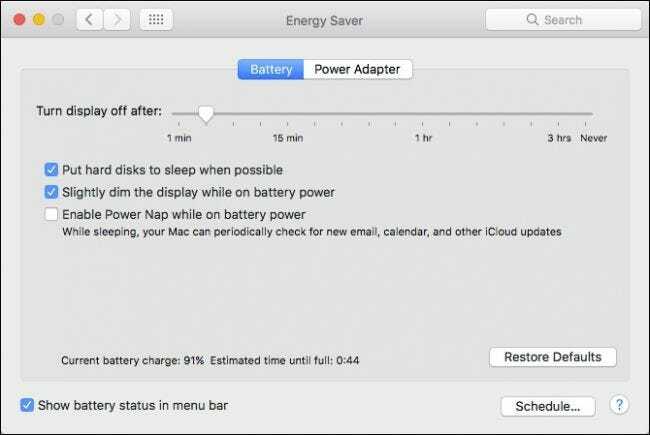 If you have concerns over how quickly your MacBook consumes battery, then it may be because Power Nap is running while your Mac is on battery. We recommend you disconnect any externally connected devices that might draw power, or turn off Power Nap if you’re willing to forego those features. It’s probably a good idea to disable Power Nap when you’re on battery power, especially if you’re going on a business trip or vacation and you’re not going to be near a power source for extended periods of time. Otherwise, it’s perfectly acceptable to leave it enabled when plugged in.